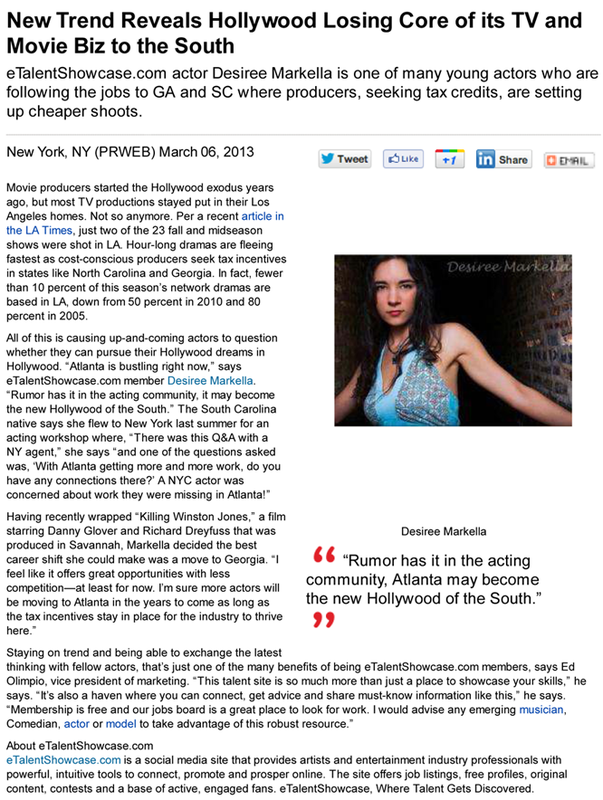 Desiree Markella is a professional actress that has been in the entertainment business for 10 years. She has worked with great actors such as Kevin Bacon, Danny Glover, Richard Dreyfuss, and Danny Masterson to name just a few. Be sure to check her out in the upcoming film Killing Winston Jones, to be released in theaters in 2014. Also, be sure to check out her IMDB page.